The Second Level Reset is one step above a Soft Reset. If a cell phone is frozen or unresponsive and you cannot power the phone down like you normally would then a Second Level Reset is usually the best option available. What is a Second Level Reset? The Second Level Reset is to remove the battery while the phone is powered on. This causes the phone to power off. After reinserting the battery (I recommend waiting at least 10 seconds before putting the battery back in) the mobile phone can be powered back on completing the Second Level Reset. The Second Level Reset isn’t an option on all cell phones. 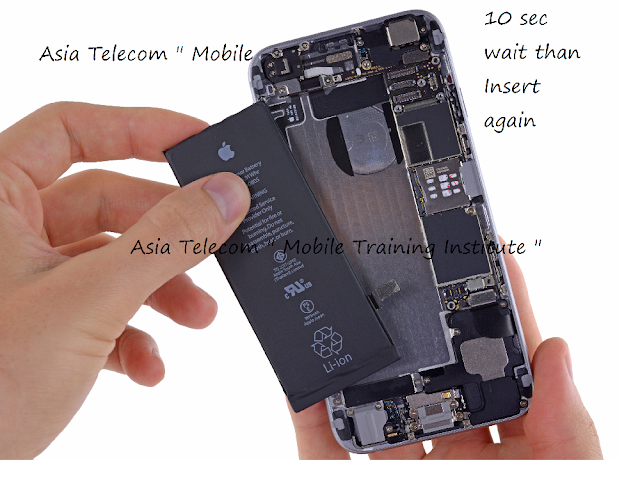 Mobile phones that do not allow the user to remove the back plate and battery are of course the exception. Removing the battery from these types of phones would void the phones warranty and as such it is not recommended. Performing a Second Level Reset on an early Windows phones (before windows 7) used to run the risk of damaging the boot up software as well. The phone would power off and have a hard time booting back up correctly again. 99% of the mobile phones in use today can have their batteries pulled while the phone is on without causing a single issue other than a loss of power. So don’t panic about performing a Second Level Reset on your cell phone. Simply removes the power from the phone and causes it to turn off. No information is lost and no data is removed or deleted from the phone. The Second Level Reset is basically a Soft Reset and can solve all the same issues as was mentioned in the Soft Reset section earlier in the article.